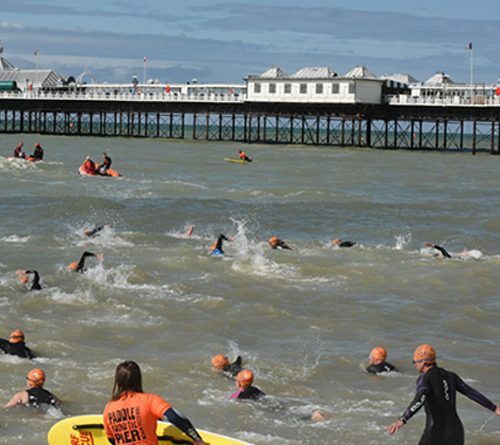 Now staged by Brighton Tri Club the event gives competitors the rare opportunity to swim around both Brighton Pier and the West Pier. 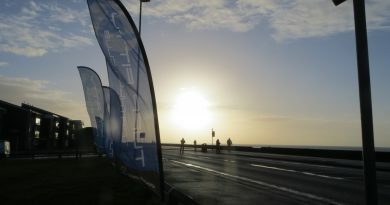 There was choice of either a 1.5k race which took swimmers around just the West pier or a 2.5k swim which took in both piers. Scheduled as part of a seafront festival the swims had to be cancelled on the Saturday due to very rough seas and re-scheduled for Sunday. Sunday dawned and with an early start attendance would be required anyway, but thankfully whilst conditions were still choppy the race went ahead. 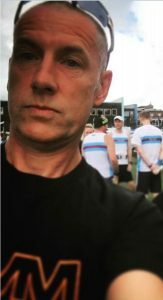 There was very good work undertaken by Stew Smith flying the Tuff flag at Wadhurst in East Sussex for the Bewl 15 mile run. Billed as a challenging multi terrain race run around Bewl Water and lanes surrounding the reservoir. A well stocked goody bag and cake for finishing, with runners serenaded by the local brass band. Whilst a British Masters multi terrain championship race, a good result from Stew coming home in 2:17. 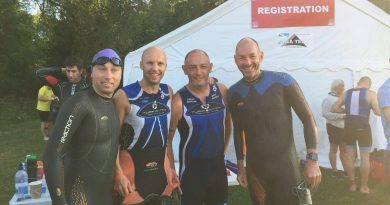 No race report has been forthcoming yet from Chichester Triathlon but as this is was a Club Championship race certainly deserves a mention. 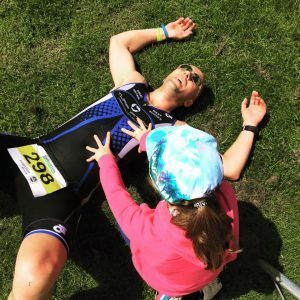 There were two distances; a sprint race comprising a 400m swim, then a 33k bike leg with a 5k run to reach the finish line. However first off was the Standard distance race at 7am. Whilst a shorter swim at just 600m, the race more than made up for that on a demanding bike course. Matt Whittaker is going well and demonstrated it again here crossing the line 20th overall. Another great result from Becky Lintott-Clarke racing home as third female overall. Good to see coach Andy Ward practising what he preaches, home as second Tuff with Carl Davey third Tuff home. Our very own legend, Bob Thomas pops up everywhere racing well and good to see Chris Evans back on the race scene. 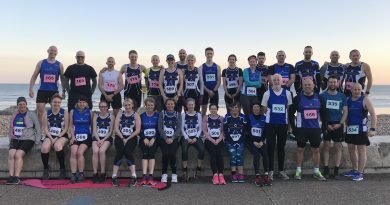 Only one club member at a Park Run this weekend, but Becky Day was present at the Worthing run, ensuring one club member has been present at each staging of this event.